Today I had the pleasure of taking out Jud VanWeelden and his wife Patricia from Carlisle, Iowa. 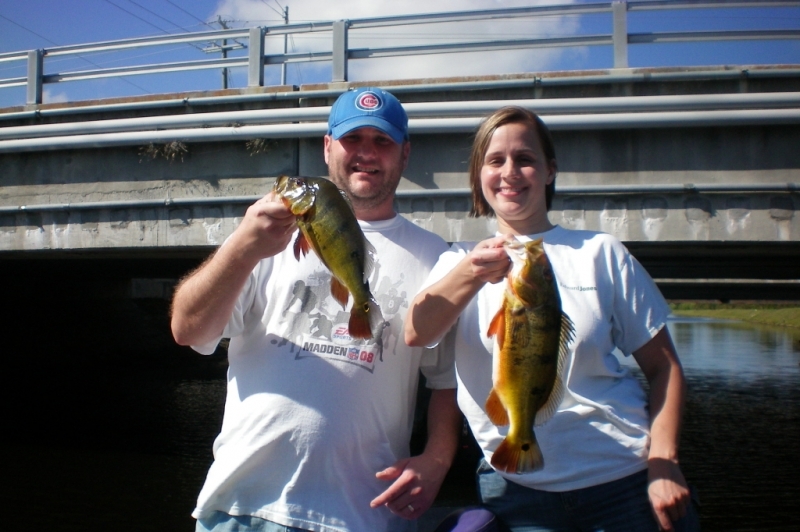 Jud and his wife are avid fishermen and wanted to see what south Florida Peacock bass are all about. Well the day started off a little slow due to cooler water temps, but once the sun started to break the action started. It was non-stop for the rest of the day right down to the last minute. Buy the end of the day they boated 25|+ fish, it was an awesome day of fishing!